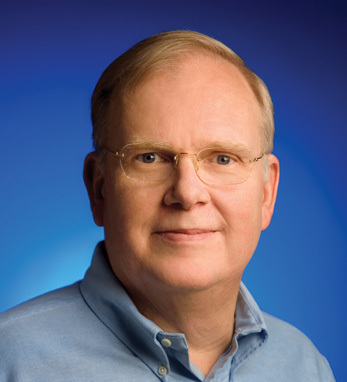 William Coughran joined Google, Inc. in 2003 serving as Senior Vice President of Engineering. At Google, he leads the broad systems infrastructure group underlying Google’s products and services. Before joining Google, Coughran co-founded and served as CEO and in other executive roles at Entrisphere in Silicon Valley. Coughran holds a B.S. and an M.S. in Mathematics from Caltech University, and a Ph.D. in Computer Science from Stanford. In the past he has served as an adjunct professor at Stanford, The ETH Zurich, and Duke University. He serves on the Board of Directors for nSolutions Inc and Clearwell Systems Inc. He is also the author of more than 50 publications and has served on several conference boards, and technical advisory committees. Coughran resides in California with his wife. A fourth-generation Irish-American, he connects to his heritage through his travels. “I have always been drawn to the liveliness of the Irish people and their arts when visiting the Emerald Isle,” he told Irish America. Google’s European headquarters is based in Dublin.